I always get GitHub emails saying my fixes and features in my UE4 fork got approved or rejected, but i never knew when or where it will be merged and released. 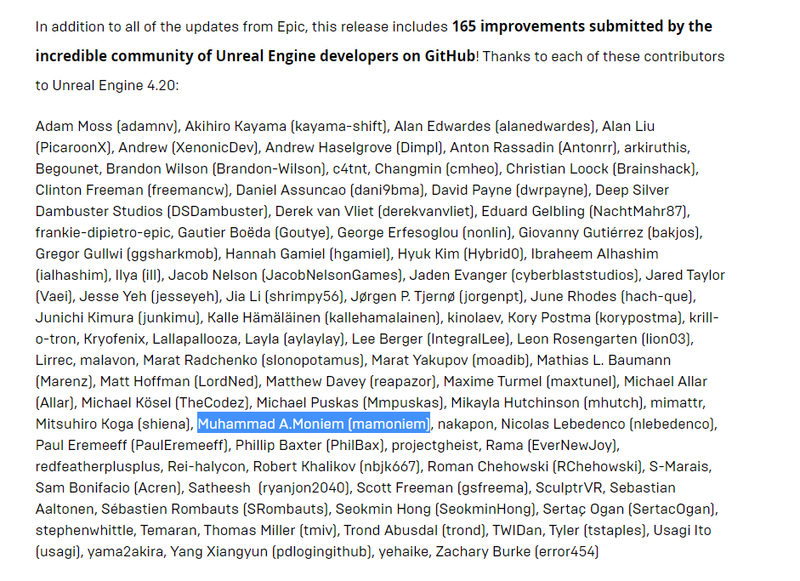 Few weeks ago I noticed that my contributions in fixing some UE4 issues was included in 4.20 again. Very happy to see how great this community in helping each-other and pushing the engine as far as we can, in order to produce some personal experimentation and learn more! Idk which fixes are those in 4.20, but proud of them indeed =D I’m expecting some for 4.21 or even 4.22, dunno!